Indian Film Festival Of Melbourne Awards 2018: Who will WIN? Padman, Hichki, Padmaavat, Sanju, Secret Superstar, Raazi, Mahanati, Rangasthalam. In the shadows, Village Rockstars, Balekempa, Up, Down and Sideways (Documentary), Murakshi, Garbage, Sir, Love Sonia. 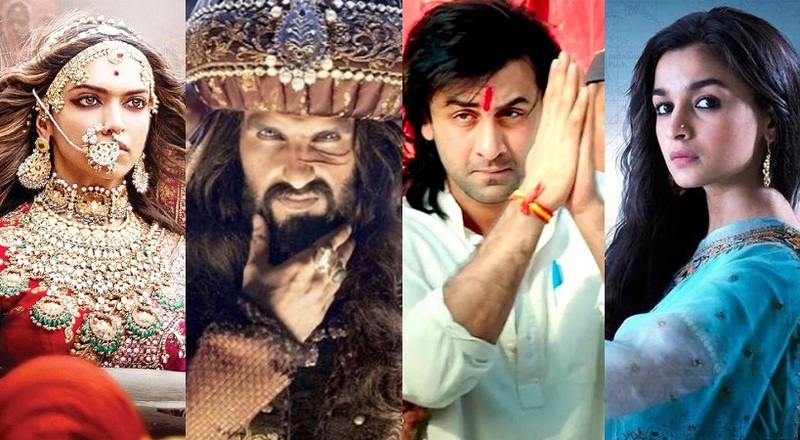 Ranbir Kapoor for Sanju, Varun Dhawan for October, Ranveer Singh for Padmaavat, Akshay Kumar for Padman, Manoj Bajpayee for In the Shadows, Fahadh Faasil for The Exhibit and the Eyewitness, Soumitra Chaterjee for Mayurakshi, Shahid Kapoor for Padmaavat. Vicky Kaushal for Sanju, Ranvir Shorey - In the Shadows, Samantha Akkineni - Mahanati, Richa Chadha - Love Sonia, Freida Pinto - Love Sonia, Trimala Adhikari - Garbage, Meher Vij - Secret Superstar. Rajkumar Hirani for Sanju, Shoojit Sircar for October, R. Balki for Padman, Siddharth P Malhotra for Hichki, Advait Chandan for Secret Superstar, Sanjay Leela Bhansali for Padmaavat, Rima Das for Village Rockstars, Dipesh Jain for In the Shadows, Ere Gowda for Balekempa, Suresh Triveni For Tumhari Sulu, Meghna Gulzar For Raazi, Tabrez Noorani - Love Sonia, Rohena Gera for Sir. The Indian Film Festival of Melbourne also proudly presents its jury members which consist of notable directors, writers, actors and editors from India and Australia, namely Simi Garewal, Sue Maslin, Jill Bilcock, Andrew Anastaisos, Nikhil Advani and Geoffrey Wright.